Malcom Applegate took matters into his own hands, escaping what he said was an unhealthy marriage. The 62-year-old British man detailed his experience in a blog post on the Emmaus Greenwich website, revealing that he'd been living in the woods for five years before finding the homeless shelter through other runaways. 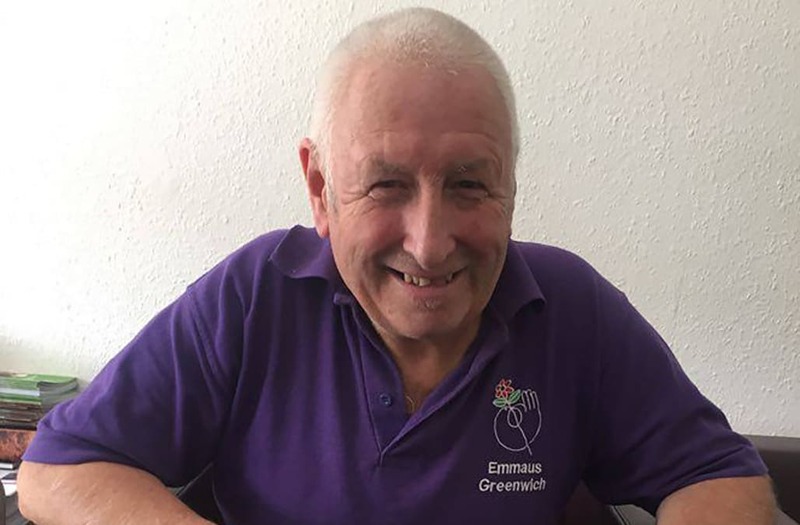 "Before becoming a companion at Emmaus Greenwich, I was a gardener in Farnborough for 25 happy years. I loved the job and I still love tending to gardens now," Applegate wrote. "It wasn't until I got married that my life became increasingly unsettled. The more work I took on, the angrier my wife got — she didn't like me being out of the house for long periods of time." Applegate wrote in the blog post that he tried to make his marriage work and stuck around for "a long time" before ultimately deciding to go off the grid. "Without a word to anyone, not even family, I packed up and left… I went missing for 10 years," he said. "On leaving, I camped in thick woodland near Kingston, and made that home for five years while maintaining the gardens at a local community centre for the elderly." Although Applegate says he was enjoying his life, he said in his blog post he "knew" Emmaus Greenwich would be a better fit. "I went to Emmaus Greenwich for an interview and moved in almost immediately," he shared. Additionally, he said he's "grateful" to donors who keep the shelter open for "being given a second chance at life." "My life is officially back on track," he said. Applegate has gotten back in touch with members of his family, namely his sister. The pair had been out of touch for a decade when he reached out. "It had been a decade years since I'd last seen her, and in that time she had been to all of the Salvation Army hostels in the South trying to find me; I think she assumed I was dead," he said. "I wrote her a letter once I was settled in Greenwich and she phoned me up, in floods of tears." His estranged wife hasn't been in contact with him, according to Yahoo.